1). In a pressure cooker, cook toor dal with turmeric powder and 1/4 tsp castor oil till it becomes soft. Keep aside. Extract juice from tamarind and keep aside. 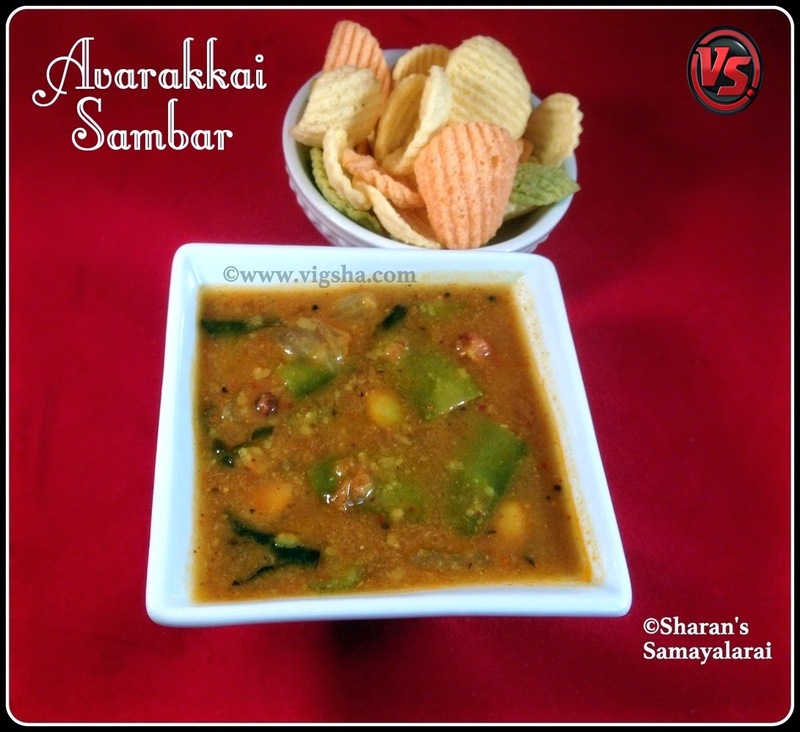 Trim the ends and chop the tender avarakkai to 1 inch pieces, remove the seeds from the matured ones. Keep aside. Roast the ingredients (except coconut) listed under "to roast and grind". Once it is cooled, add coconut, little water and grind it to a smooth paste. keep aside. 2). Heat oil in a pan, do the tempering with mustard, fenugreek, curry leaves and hing. Add onions and saute till it turns translucent. Then, add tomatoes and saute till it becomes soft. 3). Add the chopped broad beans along with tamarind water and turmeric powder. Let it boil till the raw smell goes and broad beans get cooked. 4). Add the grounded masala along with cooked dal and a cup of water. Combine everything together and bring it a boil. When it boils briskly, switch off ! Done ..
Garnish with coriander leaves and serve hot with steamed rice and appalam. # Try to cook the broad beans in open pan as above mentioned method than in pressure cooker. PC will change the color and make it look pale. 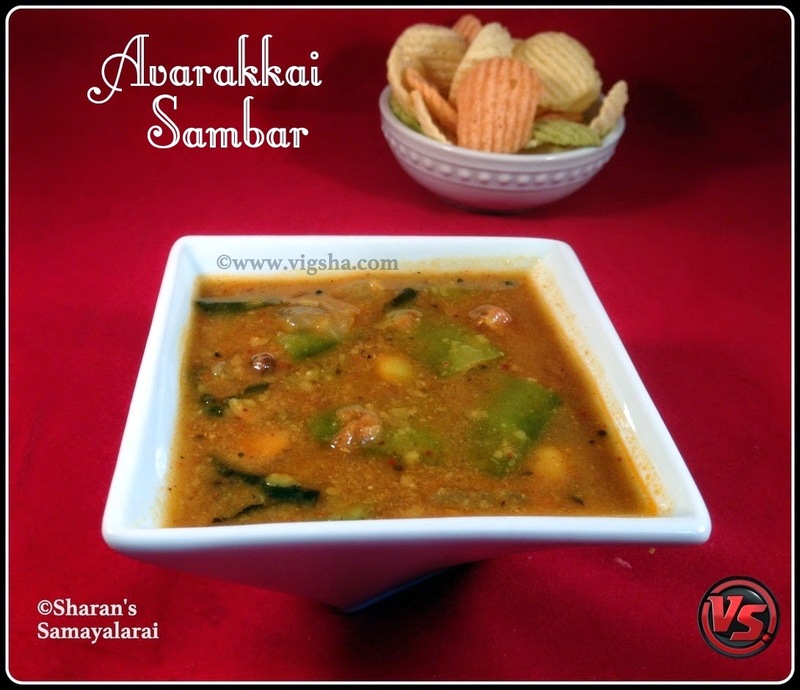 # Using ghee or oil for tempering is optional but definitely ghee adds more flavor to the sambar.